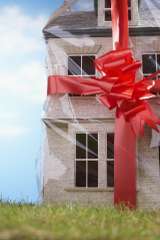 In 1937 gift wrapping helped to sell a new house! By doing up a seven-room “model home” like a box of candy, in a popular transparent wrapping material, a Long Island, N. Y., firm of builders drew a crowd of nearly 6,000 persons to its first public showing. 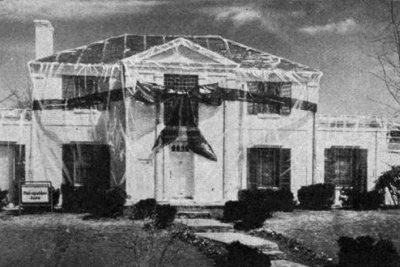 The wrapping consisted of 6,000 square feet of the glistening paper, ornamented with a huge red bow and parted at the door with a fourteen-foot slide fastener to admit visitors. To successfully wrap your gifts and presents, follow these easy steps! It’s best to use double –sided tape when wrapping gifts for a clean, professional presentation- no tape will be visible. Rolling scissors are another must-have tool – push them gently across the paper for a clean, safe cut. They eliminate the squeezing action conventional scissors that can lead to hand fatigue. 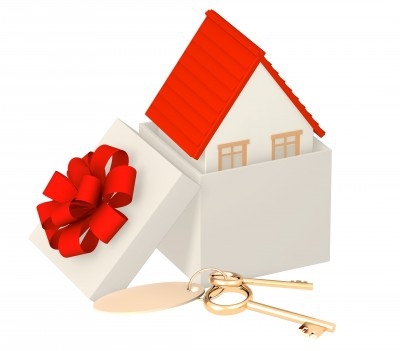 For a complete presentation, it’ ideal to wrap ribbon around all four sides of the box before adding a bow. 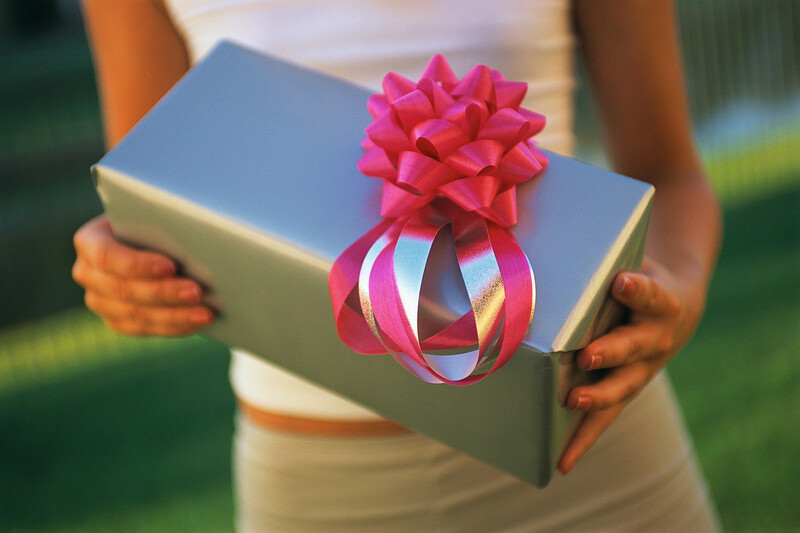 If shipping gifts use wire-edged ribbon, tulle, yarn or cording to avoid crushed or damaged bows. Wire-edged ribbon is very forgiving and can be fluffed once the package reaches its destination. Choose a gift box that is large enough to hold your item with plenty of room around the edges for tissue paper or other padding. In addition to handmade bows, be sure and remember embellishments that add that special finishing touch to the gift. Name tags can play a role besides telling who and from a gift is, it can be a great addition to a gift! Typically, small patterned wraps work best for small boxes. Wraps with larger designs work well on bigger boxes so that the entire pattern may be seen. It’s always a nice touch to select a wrap that speaks to the personality or tastes of the recipient. Keep all of your wrappings supplies neat, accessible, and protected with one of the many gift packaging storage solutions on the market. It is a good idea to have separate organizers for the holidays and your everyday gift wrap supplies.